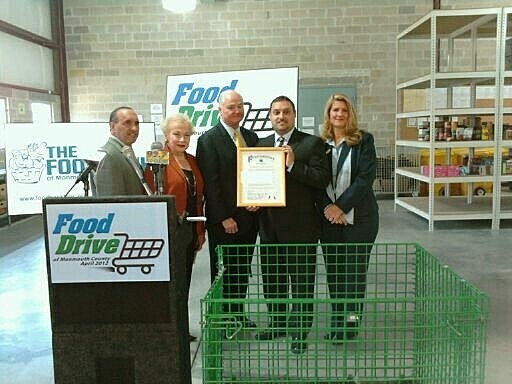 The Monmouth County Freeholders announce a county-wide food drive in April as part of National County Government Month. Freeholder Director John Curley says the County Library System is participating in a "Food For Fines" program. He says "there will be bins placed at all 13 branches and we'll forgive library fines in exchange to a food donation to the foodbank." Here's how it works, Curley says "if you are late with a book, just bring your overdue books or other materials along with nonperishable food for a donation bin and a the fines will be removed from your account, two dollars for each item donated." 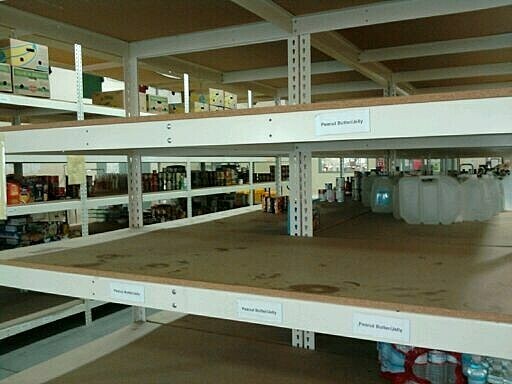 Food donated will go toward replenishing the sparse shelves of the Foodbank of Ocean and Monmouth Counties in Ocean Township. Foodbank Executive Director Carlos Rodriguez says they're dealing with a 71 percent increase among the food pantries they're serving and he believes the demand will continue for the long haul. County Library Director Ken Sheinbaum says staff members in all the branches are thrilled to be participating. "My staff was really crazy about the idea. They're really delighted to do it. We don't get an opportunity to do something like this. We tend to represent prosperous communities and you don't realize that even in those there are some people that are hungry." Collections bins will also be set up in four county buildings.